Bowled Over | Editor's Note | Kids VT - small people, big ideas! My son, Graham, turned 7 in February. We typically have his birthday party at home, but this year he asked to celebrate at Spare Time, a bowling alley in Colchester that, coincidentally, sponsors the Kids VT Birthday Club. There was no coercion involved, I swear. It was entirely his idea. We arrived a few minutes before noon on a recent Saturday and discovered that Graham was one of many, many birthday boys and girls there that day. Practically every lane was decked out with party paraphernalia. One guest's dad confided that Graham's party was his son's third there in three weeks. Not surprisingly, that kid was the best bowler. He earned the top score of 93; Graham's 87 was a close second. I think I was the only one who noticed, though. I kept high fiving the kids and saying things like, "Show us what you've got!" But they didn't seem to care about winning, or even making contact with the pins. Despite the bumpers, the kids threw some gutterballs. One boy's ball stopped mid-lane; an attendant had to retrieve it. But that didn't dampen the young bowler's enthusiasm. 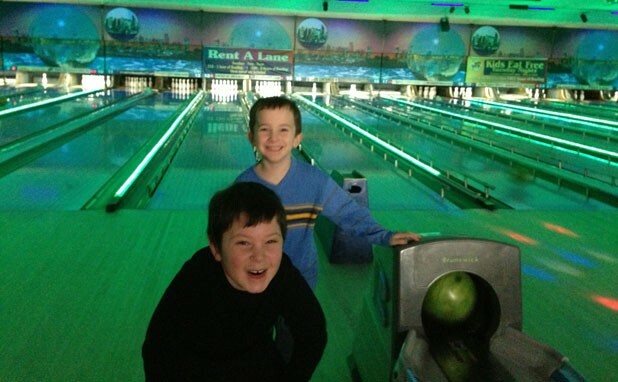 Bowling is a great antidote for cabin fever — for parents, cold, muddy March, not April, is the cruelest month. As part of our Birthday Club, Kids VT gives away four Spare Time gift certificates in every issue — $50 for one grand-prize winner, $10 each for three others. Connecting parents with tips and resources is part of our mission here at Kids VT. To that end, each issue is full of contests and giveaways — in addition to the Birthday Club, there's the Coloring Contest, the Book Review and, this month, a commenting contest on our website. We've also packed this Camp Issue with suggestions for summer plans, from advice on helping your kids spend the night away from home ("Go Ask Dad") to mini-profiles of local specialty camps ("Thrills and Skills"). 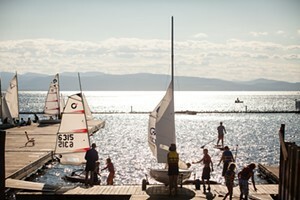 Wondering whether you should sign your son or daughter up for a summer adventure? Flip to "Stuck in Vermont" video journalist Eva Sollberger's essay; she explains how camp helped her find lifelong friends and a deep appreciation for Vermont. We hope this issue of Kids VT helps you better appreciate what the state has to offer. Have we bowled a strike? Or rolled one into the gutter? Drop us a line and let us know. P.S. Kids VT is sponsoring the UVM men's basketball game on Sunday, March 3 — another great cabin-fever reliever. Come say hello!